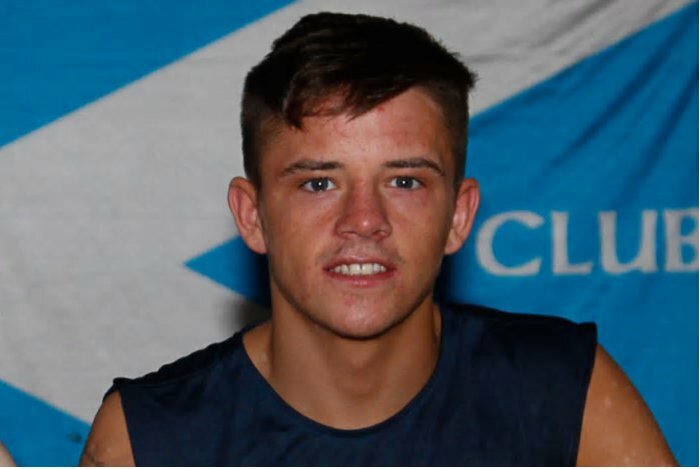 Cyclone Promotions are delighted to announce that Bantamweight sensation Lee McGregor (2-0-0) will face former Scottish champion Scott Allan (7-3-1) over eight-rounds at the SSE Hydro in Glasgow on Saturday March 3rd as part of the Josh Taylor vs. Humberto Soto undercard. The all-Scottish affair will be screened live on 5Spike and is proudly sponsored by Maxi-Nutrition, Ladbrokes and Voltarol. TICKETS FOR ‘SCOTLAND’S FINEST’ – TAYLOR vs SOTO AT THE SSE HYDRO IN GLASGOW ON SATURDAY MARCH 3rd ARE NOW ON SALE NOW – PRICED £40, £60, AND VIP INNER RINGSIDE AT £125 + BOOKING FEES, AND AVAILABLE FROM WWW.TICKETMASTER.CO.UK OR CALL 0844 844 0444. McGregor – known as ‘Lightning’ – set the amateur boxing scene alight with his rapid rise up through the ranks over the last couple of years. The former GB Senior bantamweight (56kg) champion produced a number of scintillating performances in the unpaid ranks, before turning professional under the Cyclone Promotions banner in October 2017. McGregor has since made the perfect start to life in the pro game, having notched up two impressive televised stoppage wins in late 2017. He now faces a step-up in class against compatriot Scott Allan in his first eight round contest, as former Scottish champion Allan sets his sights on claiming a major scalp at the SSE Hydro on March 3rd. The March 3rd bill – fittingly titled ‘Scotland’s Finest’ – features an array of exciting Scottish talent, with a world-class main event also being supported by a stellar undercard. This huge night of championship boxing is headlined by Josh Taylor’s latest step on his march towards world honours. The undefeated Scot, the WBC Silver super lightweight champion, defends his title against Mexico’s former two-weight world champion Humberto Soto in what is sure to be an enthralling main event. Victory for the explosive Taylor will push him closer to his ultimate goal of becoming a world champion, while defeat will be a major setback to the hugely talented Prestonpans native. In the chief support contest Cyclone’s undefeated Jason Easton (11-0-0) faces Sunderland’s Glenn Foot (21-3-0) for the vacant Commonwealth super lightweight championship, and this intriguing bout has ‘Fight of the Night’ written all over it. The all-action Easton has his hands full against former Prizefighter champion Foot, who also recently held the English title. Also on the card are Glasgow’s 2014 Commonwealth Games gold medallist Charlie Flynn (10-0-1), undefeated IBO World lightweight champion Chantelle Cameron (5-0-0), Glasgow’s undefeated Scottish Super Bantamweight champion Joe Ham, Edinburgh’s undefeated prospect Iain Trotter makes his sixth start as a professional on the big bill. Doors will open at 5pm at the SSE Hydro in Glasgow on March 3rd with boxing starting at 5.30pm.